Hi everyone, I'm back from the east coast, and just when my body was starting to adjust to the change in time, I'll have to mess it up again, and hop on another plane ride in a couple days to the east coast again...I LOVE to travel, but this turn around is just too crazy for me. I have LOTS of cards to share today, and so little time, so I'll post the card recipes for each at a later time. 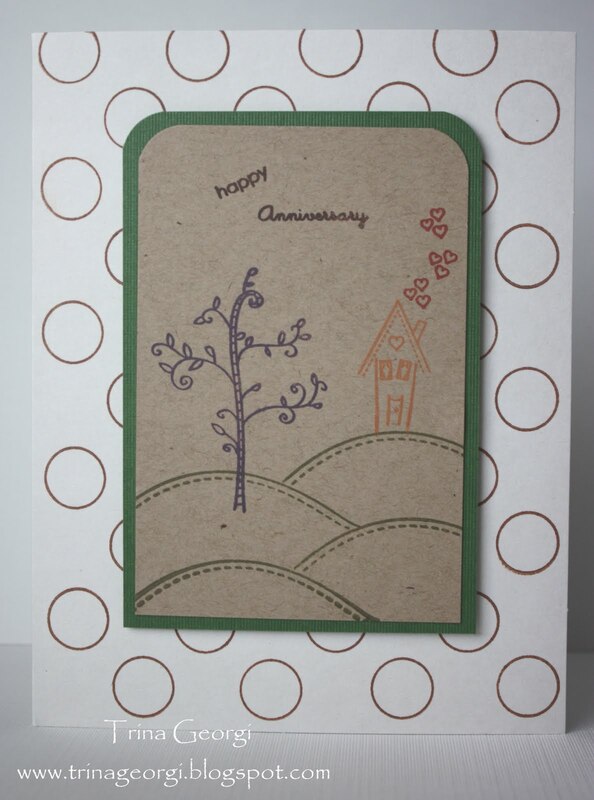 The first card was created for Lisa Johnson's Poppy Seed Challenge #2. I had to incorporate a button, polka dots (which I have been addicted to lately, hence the blog title today), and something in the color of Light Moss. Since I'm still coming up with some options for Baby Thank You cards, I've made this Option #2 (Option #1 on March 16th posting). I stamped white dots, using PTI's Polka Dot Basics, onto Light Moss, added a stamped image of a mommy-to-be silohouette, created a label, added a "Thank You" sentiment, a bow, and a button...done. I like the modern feeling of this. If you take a closer look at the image, you'll see that I heat embossed it with some clear glitter...I love how it brings a little twinkle to the card. The baby bottles below were also hear embossed. I think this would be so cute in pink, white, and black...something a little bolder. And...a little extra bonus...I just got my PTI package yesterday and just had to play with Becky's new designs...I LOVE THEM! It was perfect timing, since yesterday was my hubby's and mine wedding anniversary. That's it for now...hopefully this will hold you all over until I'm back from my trip. P.S. I know I normally end with "Stay Well", but I read a poem this weekend which ended in "Live well", and it really appealed to me...we all should take time to "Live Well"